Meucci pool cues are among the best known brands available today. Since the early days of the Meucci Originals, Bob Meucci has been revolutionizing the custom pool cue world with his now classic designs. Many of those designs, include the popular Gambler and Hall of Fame series, are still being made and improved with the modern cue making technologies. Players that use Meucci cues are loyal and uncompromising when it come to the feel and performance of their equipment. Featuring the low deflection, Black Dot shaft on every model, Meucci's have a hit like no other professional quality pool cue on the market. Smooth and fluid with a unique joint and ferrule design allows for maximum performance with minimum effort. 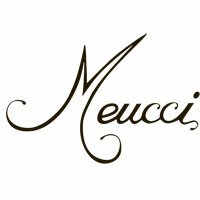 Don't forget that every Meucci Cue qualifies for Free Ground Shipping in the lower 48 United States! PoolDawg is an Authorized Dealer for Meucci pool cues and billiards products.